Today the Church has been observing Good Friday. It was a dark, wet, and dreary day in Cedar Falls, a day that befits the solemnity of our observance. At noon Cedar Falls had its first of what we hope will be an annual Procesion of the Cross using the stations of the cross as a model. The Procession was very well attended despite the weather. I am sure over 100 of us braved the weather to walk with the cross, read scripture, and pray. I am glad that more than ten churches gathered together to be reminded of the sacrifice of Christ and our oneness as part of his body! This evening our Associate Pastor for Youth and College, Steve Braudt and our youth group led a Tenebrae Service. It was a powerful service of dramatic scripture readings, extinguishing the lights, and stripping the sanctuary of its faith symbols. We all left in silence and awe and the acts of Christ on the cross and the death which he suffered. This time from Maundy Thursday to Easter Sunday is called by the Church the Holy Triduum. It is a space and time during Holy Week that is a unit of worship experiences and contemplation. From the Upper Room, to the Cross, and into the darkness we wait. We await the coming of our Savior. We await answers to the evils of hell, sin, and death. We await empty needing to be filled. We await knowing that Christ has died for us and hoping against hope that the darkness in our lives will not continue without relief. Tonight and tomorrow the Church of Jesus Christ mourns so that on Sunday, as the sun rises in the east, we can shout and sing. We can run to the tomb with Peter and John. We can say with Mary “I’ve seen Jesus” and we can walk the Road to Emmaus with a pair of Jesus’ followers. Every year we retell and relive the old old story of Jesus and his love! Every year we come again to face the darkness knowing that Jesus faced it for us and that he was there before us. Unlike the Disciples we walk into the darkness knowing that Christ’s light is coming! That Jesus will rise again! That the tomb will be found empty! That the angels will sing! That the graves will be opened! And finally that our hearts will be healed, redeemed, changed, transformed by the overcoming grace of Jesus Christ. We walk into the darkness awaiting the coming of the one who has enough love for the whole world. As the thief on the cross said to Jesus those many years ago. “Jesus, remember me when you come into your kingdom!” Jesus remember me! This entry was posted in Easter, Good Friday, Grace, Sacraments, Transformation, Walk to Emmaus on April 22, 2011 by Tim. In a United Methodist understanding Holy Communion and Baptism are “means of grace” meaning that we experience God’s grace as we participate in the sacraments. Some evangelical Christians tend to think of Holy Communion and Baptism as “just symbols” and Communion as “just a memorial.” I’ve come to believe over the years that this is a very one dimensional view of what God does for us in the sacraments. Over the many years I have officiated at the Lord’s Table I have had powerful experiences of God’s love and grace in sharing and partaking of bread and cup. “This Holy Mystery” tells us that Christ is truly present in Communion. It is more than mere remembrance! I have always appreciated the United Methodist understanding of the openness of the table. When I first partook of communion with my family in an Emmaus Gathering all the children present, no matter what age, were welcome at the table. In fact the table is open to anyone who is seeking to have an experience of God’s love. John Wesley believed that Holy Communion could be a “converting element” leading to the conversion of a sinner who comes to the table through the power of God’s prevenient and justifying grace. 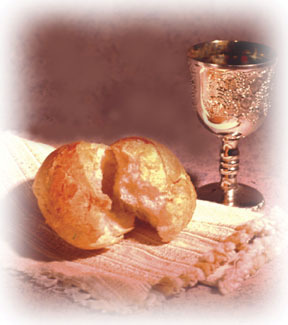 My own personal preference is to take communion via intinction (dipping bread in a common cup) rather than with small cups and wafers because it reminds me of the oneness of Christ and the oneness of the body of Christ partaking of one loaf and one cup. The Sacraments are a very important part of Christian and United Methodist worship. And I appreciate the emphasis on God’s grace that weaves its way into so many facets of United Methodist theology, worship, and experience. As I have grown in the faith God’s loving grace calling me to be more like Jesus each day has become a very important part of my spiritual journey. Meeting Christ at the table and experiencing His presence there gives me strength, hope, joy, and a sense of communion with my Savior and His church! This entry was posted in Christian Living, Grace, Justifying Grace, Prevenient Grace, Sacraments, Uncategorized, United Methodist Church, Walk to Emmaus on July 19, 2010 by Tim. Many of you will be aware that my previous ministry has been in Baptist churches. So the question does come up fairly regularly, “why are you becoming a United Methodist?” I could try to answer the question in one post but there are several facets to my decision which include theology, polity, and practice. So I’m going to write several posts about the distinctives of the UMC that attracted me to this great connexion of Christians! The very first time I really thought about and heard about the different facets of grace as taught and understood by John Wesley was on my very first Emmaus Walk. The Emmaus Walk is a program of the Upper Room of the United Methodist Church which is based on the Cursillo movement with the goal of strengthening Christian leaders. It is an ecumenical program and churches of many different denominations are involved with Emmuas. It was in the Emmaus Walk that I first heard about Prevenient Grace, Justifying Grace, and Sanctifying Grace from a Wesleyan perspective. Baptists believe in grace too of course. But in particular on that Walk I remember the emphasis on God’s Prevenient Grace. When I left the Walk I began looking for where this brilliant theological idea of God’s Prevenient Grace had been best conceived. What I found was that it was best expressed in the preaching of the founder of the Methodist movement, John Wesley. 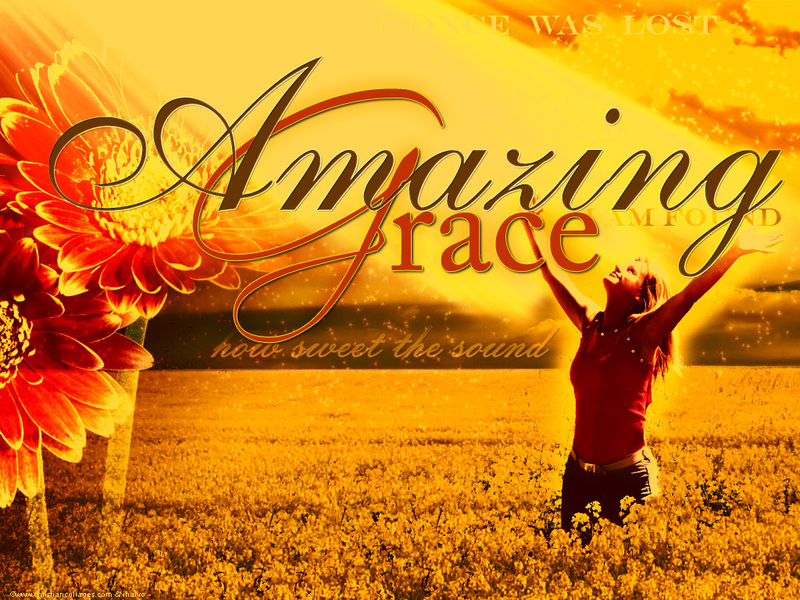 “Amazing Grace! How sweet the sound that saved a wretch like me. I once was lost but now am found, was blind but now I see!” It was my first taste of Wesleyan theology. And it is where I trace back the beginning of my journey to the United Methodist family. More about grace in my next post. This entry was posted in Christian Living, Grace, Prevenient Grace, United Methodist Church, Walk to Emmaus on July 13, 2010 by Tim.